You can find several tutorial videos and useful documents to help you with your daily work. During personal online tuition we help you learn ARCHLine.XP easily. We are proud that we made ARCHLine.XP user friendly, however, we understand that adapting to a new software might take time. We want you to spend your time designing, instead of adjusting, so we try our best to make the journey to our software as easy as possible. We have an integrated Help section in our software, and amazing video tutorials online, but if you would rather talk to us directly, we are happy to hear from you. We can be reached via phone or email – and you get all technical support you need for the duration of your license. See more for training and support options. If you're struggling to adjust to the software, you can access many of the video tutorials online. Browse through Beginner, Familiar or Expert level videos. You can also watch the workshop tutorials or watch videos of the other users’ presentations. Interior Design workshops are designed to give you the practical advice you need to be an expert designer using CAD software designer. You can take one of our in-person or live online workshops, which are capped at 5 participants so you'll have lots of opportunity to ask questions and get the information you need. 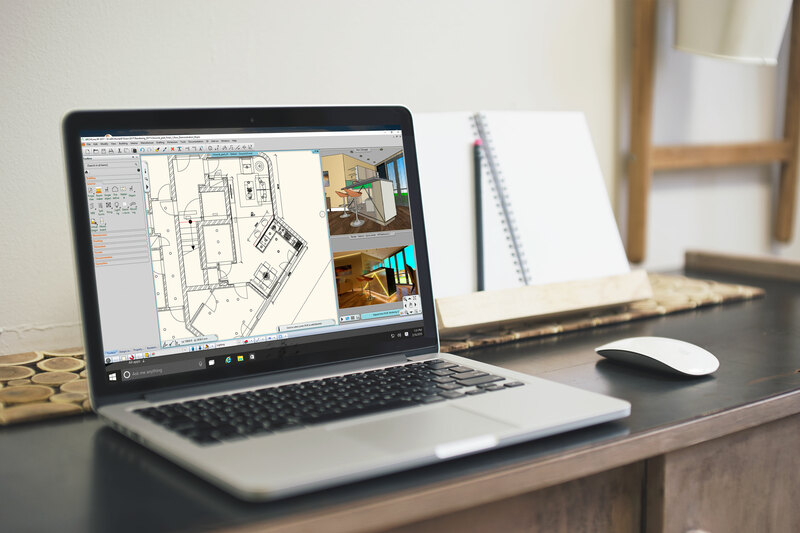 We frequently host webinars - hour long live education sessions, where we talk about design challenges, and how ARCHLine.XP can be used to tackle with them. All purchased software comes with a no questions asked, 14-day money-back guarantee and online support for the subscription time or 12 months from the date of purchase. Technical Support via phone, e-mail, TeamViewer and Skype is also part of the package.